The human body can last weeks without food but can only last a few days without water as water and this is because water is the Lifeline of the human body. Water Serves as a natural remedy for headaches which are usually caused by dehydration. Staying hydrated helps relieve and prevent headaches. Drinking the right amount of water helps flush out toxins through sweat and urination. Water aids the digestion of food and also prevents constipation. Drinking water helps improve the complexion of the skin, delays wrinkles and keeps the skin moisturized. Water aids in increasing the body energy and also it relieves fatigue. Aside from keeping the body hydrated and boosting its metabolism, water also aids and promote weight loss. 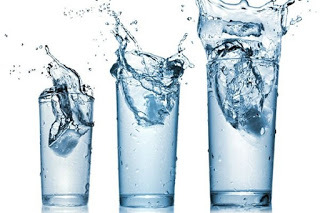 Drinking water before meals fills you up and helps increase satiety thereby making you eat less (consuming lesser calories) which eventually leads to weight loss.